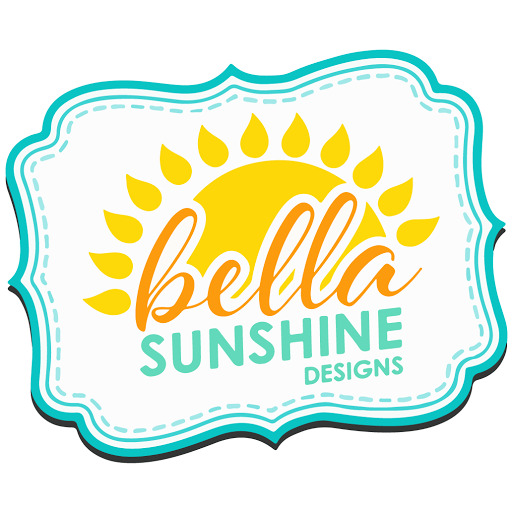 This pattern is FREE for all Bella Sunshine Designs Facebook group members. Join our Facebook group for your free coupon code! Knit raglans are the ultimate in comfort. It’s no wonder why they are so popular! This garment is flattering, and such a quick and easy sew. The slip fit is such a nice, feminine look. Both v-neck and scooped neckline options make the pattern more versatile. The sleeve band not only makes for a nice detail, but also makes the sleeve super easy to hem. Plus, since the pattern comes with a top, tunic and a dress length as well as both long and short sleeves, it makes it perfect for every season. And since a bust adjustment is included in the pattern, it takes the guesswork out of fitting for the bust. 4-way or 2-way stretch knit fabric with at least a 50% stretch but no more than 75% stretch- Suggested fabrics include: medium weight jerseys with good recovery. easy to make ,looks good. Unfortunately I failed to notice that the knit fabric i had was not stretchy enough,[ more of a ponte] so it is lightly tight in shoulders and arms. i will insert side panels about 1-2 ins on each side/ arm seam and call it a design feature!…. then try again with a different stretch!!! I have sewn this pattern 3 times now, with equally fabulous results! Great fit and I love that there’s a matching kiddo pattern so my littles and me can match! I know I will return to the Reagan time and time again! Thank you! I love the fun sleeve options on this top. I wore my first attempt for dinner with my girlfriends and they thought I had bought it at our favourite local boutique! It’s a simple pattern that I will certainly be making more of! Great pattern and fit – instructions were clear and easy to follow. I will definitely be making good use of this pattern! Thank you! I’ve made countless Reagans for gifts and a few for myself. With a universal appeal, it’s a great pattern to use your scrap fabrics on the sleeves and bands on, and the measured sizing flatters any body with proper (well written) grading. With easy to follow detailed instructions, you can cut and sew this shirt in under an hour (and I’m a slow sewist). Hint: Have an adult t-shirt that is too small for you? The Reagan makes the perfect template to fit onto your shirt to revamp into a kids Reagan! Awesome pattern, and ends up in a great fit. Very easy to follow instructions! I was so pleased with this pattern! Nicely written & easy to follow instructions. 🙂 Any issues were all mine! My first try is going to be a nightgown—I went up one size from my normal size so it would be nicely roomy. Perfect! Can’t wait to try more patterns. I love the FBA included and you’ve got me spoiled! I love the short sleeve version but I’m not crazy about the cuffs on the long sleeve so adjusted them. I’ve made so many versions of this shirt that I just love! Easy to follow, good fit. Not made as yet but download and instructions are super easy. Have many lengths of material in my stash to make for me and my baby granddaughters!